Our people at Garratts are committed to delivering the fullest benefit of their extensive technical expertise – with a smile. We pride ourselves on being professional, friendly and accessible – with a sharp focus on building solid relationships with our clients. By thoroughly understanding your business, we provide a more cost efficient, tailored service. Richard is a director of the firm having first started work at Garratts in 1981. He is a past President of the Insurance Institute of Preston & Blackpool and still active on its council. He is a Chartered Insurance Broker and an Associate of the Chartered Insurance Institute. John is a director of the company responsible for the client service proposition and broking operation. He has worked in insurance for more years than he would care to remember. In addition to his day job he is currently the President of the Insurance Institute of Preston & Blackpool. Outside of work John can be found following Preston North End, in between frequent trips to the gym, as well as supporting his children in their numerous activities. Anne is into her second spell with Garratts, after spending 10 years with us in her first period. She is married with two sons and is a huge Everton supporter. Anne is a member of the Insurance Institute of Preston & Blackpool council and also an active committee member of her local cricket club. 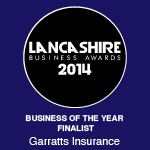 Liz joined Garratts in 2013 having gained a wealth of industry experience since first entering the industry aged 16. In addition to her Operations Manager role at Garratts she spends her time looking after her two children … and John! 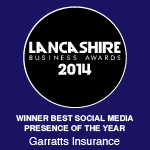 Liz is also a member of the Insurance Institute of Preston & Blackpool council. After training as an electrical engineer, he has decided to join the team and pursue his career in insurance working alongside his dad, John! In his spare time he enjoys playing on his Xbox and going out with his friends. A qualified Maths teacher, Danny now looks after our management accounts. Danny is yet another huge Preston North End fan and runs a team in the Sports reach Churches league.